Cannock Chase Council recognises that landlords in the private rented sector have an important role to play in helping meet the provision of housing need within the district. The Council's Housing Options Team has already established a good working relationship with a number of local landlords through the provision of training, advice and support. It is important that the landlords who maintain their properties to a high standard, often above the standard required by law and who adopt good management practices receive recognition. This is the main reason why a voluntary landlord property accreditation has been developed. Although the idea to set up an accreditation scheme was originated by the Housing Options Team it would not have been possible to progress this initiative without the support of the landlord working group, formulated by a group of private local landlords for the purpose of consultation. 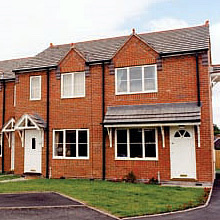 To increase and maintain a supply of privately rented accommodation within the Cannock Chase area. The standard of the scheme should reflect both the minimum legal fitness standards and acknowledge those properties which are maintained in excess of this standard. To give public recognition to those landlords who become members of the Accreditation scheme by actively promoting the scheme across the Cannock Chase area. The scheme should cover both the physical standards of properties and also promote good management practices by landlords. The scheme should promote responsible behaviour by tenants through advice and information. Enable tenants to obtain information about and get access to better quality affordable accommodation. Improve access for landlords to a range of council contacts and services. Public recognition that you are a good landlord. Use of Accreditation logo when advertising a property that has been accredited. Support in dealing with tenants having difficulties sustaining their tenancies. List of Accredited Landlords to be published on the Cannock Chase Council website. Confidence that an Accredited property meets the minimum standard required by law. That the landlord is acknowledged by the Local Authority as managing properties within an accepted code of guidance. The tenant can access advice and support during the tenancy. Tenants of an accredited landlord can have housing benefit forms identified with the accreditation logo sticker. If you are interested in applying, please call 01543 462621 and ask for Julie Cope or Dee Kalirai from the Housing Options Team.